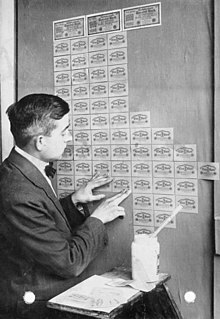 Hyperinflation is often associated with some stress to the government budget, such as wars or their aftermath, sociopolitical upheavals, a collapse in aggregate supply or one in export prices, or other crises that make it difficult for the government to collect tax revenue. A sharp decrease in real tax revenue coupled with a strong need to maintain government spending, together with an inability or unwillingness to borrow, can lead a country into hyperinflation. The increases in price that result from the rapid money creation creates a vicious circle, requiring ever growing amounts of new money creation to fund government deficits. Hence both monetary inflation and price inflation proceed at a rapid pace. Such rapidly increasing prices cause widespread unwillingness of the local population to hold the local currency as it rapidly loses its buying power. Instead they quickly spend any money they receive, which increases the velocity of money flow; this in turn causes further acceleration in prices. 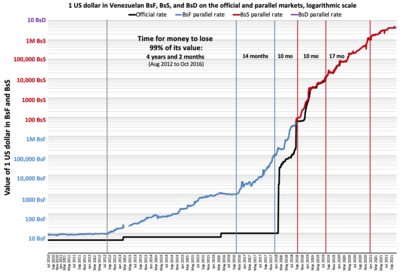 This means that the increase in the price level is greater than that of the money supply. The real stock of money, M/P, decreases. Here M refers to the money stock and P to the price level. Poland has gone through two episodes of hyperinflation since the country regained independence following the end of World War I, the first in 1923, the second in 1989-1990. Both events resulted in the introduction of new currencies. 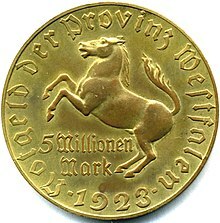 In 1924, the złoty replaced the original currency of post-war Poland, the mark. This currency was subsequently replaced by another of the same name in 1950, which was assigned the ISO code of PLZ. As a result of the second hyperinflation crisis, the current new złoty was introduced in 1990 (ISO code: PLN). See the article on Polish złoty for more information about the currency's history. Some private companies predict that by the end of 2019, it is expected 31,000,000% of inflation rate. Yugoslavia went through a period of hyperinflation and subsequent currency reforms from 1989–1994. One of several regional conflicts accompanying the dissolution of Yugoslavia was the Bosnian War (1992–1995). The Belgrade government of Slobodan Milošević backed ethnic Serbian forces in the conflict, resulting in a United Nations boycott of Yugoslavia. The UN boycott collapsed an economy already weakened by regional war, with the projected monthly inflation rate accelerating to one million percent by December 1993 (prices double every 2.3 days). Hyperinflation in Zimbabwe was one of the few instances that resulted in the abandonment of the local currency. At independence in 1980, the Zimbabwe dollar (ZWD) was worth about USD 1.25. 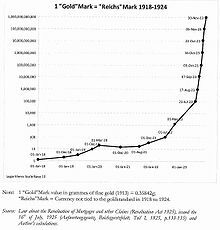 Afterwards, however, rampant inflation and the collapse of the economy severely devalued the currency. Inflation was steady until British Prime Minister Tony Blair reneged on Land reform agreements arrived at between Margaret Thatcher and Robert Mugabe that continued land redistribution from the white farming community in 1998, resulting in reductions in food production and the decline of foreign investment. Several multinational companies began hoarding retail goods in warehouses in Zimbabwe and just south of the border, preventing commodities from becoming available on the market The result was that to pay its expenditures Mugabe's government and Gideon Gono's Reserve Bank printed more and more notes with higher face values. ^ Amaro, Silvia (27 July 2018). 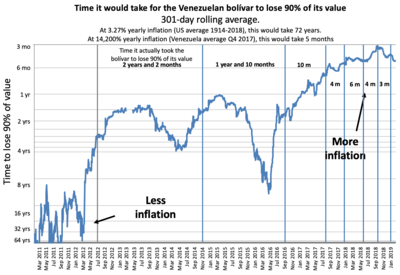 "Venezuelan inflation predicted to hit 1 million percent this year". CNBC. Retrieved 29 July 2018. ^ a b Hanke, Steve (31 July 2018). 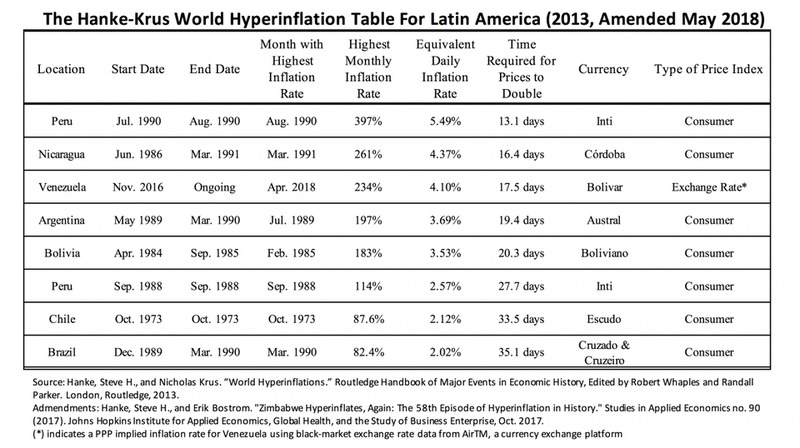 "IMF Produces Another Bogus Venezuela Inflation Forecast". Forbes. Retrieved 31 August 2018.